At SGS PSI, we provide test results and data to clients that, simply put, “need to be sure”. For those in medical device manufacturing, where the health of patients hangs in the balance, the data must be reliable. For those trying to investigate a root cause of a product failure, in hopes of eliminating the debate, the data must be reliable. So how do we ensure reliable data? One major way is through our robust Quality Assurance system! If you read the history of our company, you will notice that as our business has evolved, so has our Quality Assurance system. Back in 2000, we worked diligently to achieve ISO 17025 Accreditation because we know this third-party accreditation speaks to our willingness to be transparent and open ourselves up for review and critique by auditors, ultimately resulting in a demonstration of our commitment to quality. In 2007, we realized that we needed to take our Quality Assurance to the next level. Our expertise within bioabsorbables and analytical methods well-suited for medical device and pharmaceutical products put us in position to become FDA Registered and meet the needs of our growing client base. Maintaining this level of Quality Assurance means that quality must permeate every aspect of who we are and what we do. From our customer service and sales processes, to our receiving and handling of samples, all the way to laboratory testing and reporting–we are committed to a culture focused on Quality Assurance. For analytical laboratories like ours, it means being committed to creating systems and structures that support reliable data and also maintain integrity. Quality Assurance is how we work to mitigate risks, learn forward, and continuously improve. If you have ever been part of a third-party audit, or even a client audit, you know that it takes a lot of documentation and preparation to be successful. Quality Assurance truly has to be part of the business infrastructure or it is overwhelming and often unsuccessful. We have found that having a software solution in place, to facilitate our Quality Assurance systems, is paramount. Qualtrax has been part of our Quality System for nine years. This solution contains core compliance functionality like document management, workflows, and testing and training. The software was created to help satisfy the requirements of ISO and 21 CFR Parts 11, 210, 211, 610, and 820, as they apply to laboratory testing. We have found that a digital solution, specifically one that is cloud-based, is better for business. It results in an always-accessible central repository for critical documentation and workflow initiation. In a fast paced work environment (which is exactly our reality!) it is necessary have that critical information is at our fingertips. 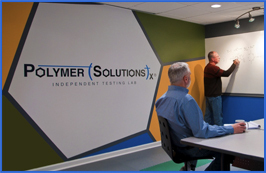 Our commitment to Quality Assurance does not begin and end with our software solutions. It is a critical component of our quality system and must be supported by expectations from leadership and shared responsibility amongst our entire team. It is not enough to have a strong Quality department–the commitment must transcend to each person on the SGS PSI team. Because of our keen awareness of the stakes our clients are facing, and our consistent focus on great science, we will stay steadfast in our commitment to Quality Assurance and continuous improvement from our front office, to our laboratories, and all areas in between.